Can we really make a case for non-conformity? “Today’s marketplace requires that we begin to think outside of the box.” These are the exact words that I heard in a telephone conversation with a leasing manager concerning the non-conventional use of space in the mall. This, however, is no new observation. 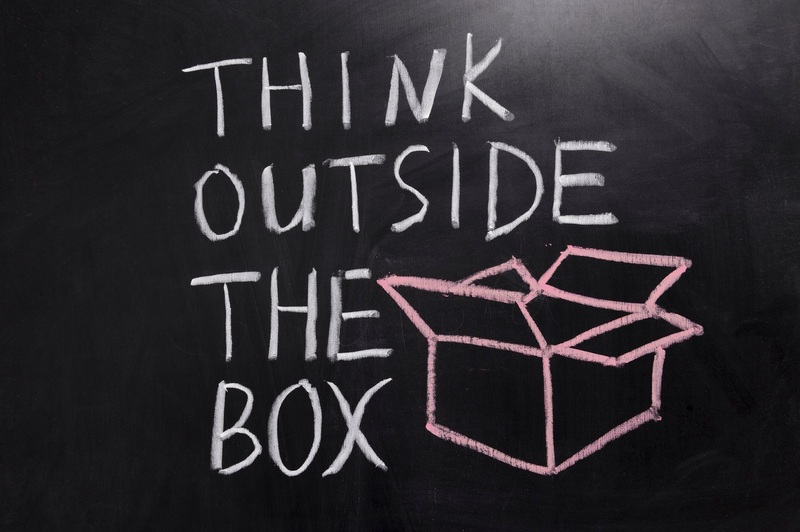 In fact, many are achieving great success by teaching people how to “think outside of the box.” The process is labeled with more sophisticated terminology such as: paradigm shifts or reframing our world view. Nevertheless, the same results are intended. In short, there is a need for “un-doing the all-too-common culture of conformity,” which far too often slows or hinders our progress into new frontiers. Japanese auto makers provide a classic example of why this is needed. These massive corporations have out-done their competitors the world over when it comes to identifying and rapidly filling new market niches. This is not only true in the marketplace; but, it is a valuable principle to be applied to ones whole life. First, many established practices and beliefs were adopted by default by the uniformed. Or, would it be more accurate to say, “Many established practices and beliefs were adopted by the ‘de fault’ of the uninformed.”? When he reached adulthood and read the Bible for himself, he learned that this was bogus information. It was the fact that he had been given this misinformation that prompted him to begin questioning the practices and beliefs that he had been raised with. Now, he is a Bible-believing Christian and an successful salesman in a free market economy. Second, what is hot today, will likely be cold tomorrow. I read recently that American culture is undergoing change at a higher rate than ever previously experienced. One researcher of national renown states that our culture completely changes every five years. Faith communities typically require a forty year process for the adaptation of new ministry models. Most businesses that do not respond rapidly and adapt accordingly are forced to have a “Going-Out-Of-Business” sale. Awareness of the potential pitfall of being one step behind the times is essential. However, this alone is no assurance that the vast chasms of change will not swallow us up. What is needed is for the courageous to muster unmitigated audacity to challenge the status quo. Instead of being pulled here and there by the latest fads and fancies we need to be trend-setters. Many will be followers. Only the courageous few who are not constricted by a compulsion to conform will avoid being swept away by the avalanche of unexpected change. So, is there a case for nonconformity? I believe the answer is yes! First, because there is a possibility the beliefs and practices to which we subscribe are based upon misinformation. Some may be concerned that an openness to adaptation and change might result in abandonment of our core values. Nothing could be further from the truth. If these are based upon accurate information, this truth will only become clearer under the microscope of scrutiny. Second, I believe there is a case for nonconformity, because that which is popular today, could well be tomorrow’s “has-beens.” We’re not here to be pushed around by the currents. As the mountain trout faces the current for the feast which is to come, so we must be willing to swim up-stream! Remember the only fish that floats down stream is a dead fish—one that is conforming to the force of the rushing stream on its body! Indeed, today’s marketplace, as well as ones whole life, requires that we think outside of the box. Clearly, there is a case for challenging the culture of conformity which often impedes progress, growth and change. Only when we break down the barriers that keep us contained will we be able to have a clear view of the exciting opportunities that await us! ← What if you only had six months to live?